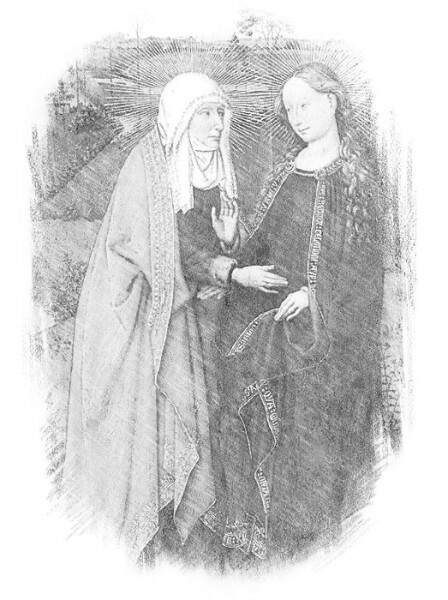 Bearing in her womb the Savior of mankind, the Word of God incarnate, Mary went as quickly as she could to greet Elizabeth, her cousin. John leaped in Elizabeth’s womb and she was filled with the Holy Spirit. Mary’s soul proclaimed the greatness of the Lord. With Elizabeth, and taught by her, we say, “Of all women, you are the most blessed, and blessed is the fruit of your womb” (Lk 1:42). Holy Mary, God-bearer, you went in haste to share the good news of salvation with your cousin, Elizabeth. May we who bear your Son in our hearts possess the same eagerness to share with others the joy that he has given us, so that being filled with the Holy Spirit, we may all rejoice in God, our Savior. Amen. Let us pray for the grace to be joyful witnesses of the Gospel of Jesus Christ and that in joy and faith we may be prepared to travel to the ends of the earth to proclaim the “Good News of Salvation” to all whom we meet. We pray for the mission of the Church in the United States of America and for all our Dioceses.